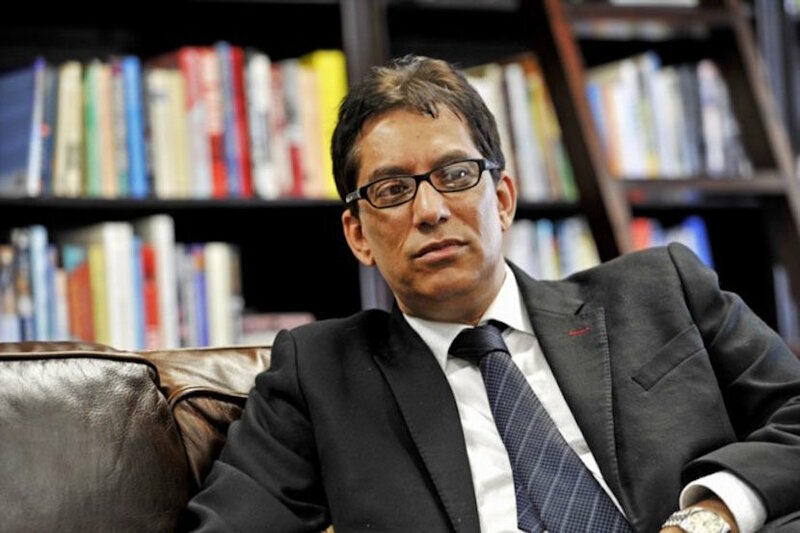 On the surface, the Independent Media Group’s chairman Iqbal Survé appears to be at odds with the Gupta family, which owns The New Age and ANN7. They preside over competing media companies and animosity between the Gupta brothers and Survé has bubbled to the surface in the form of messy litigation. But, as the #GuptaLeaks highlight, the Survés and the Guptas are very much birds of a feather. The only reason they don’t stand shoulder-to-shoulder in the public spotlight is because they had an argument about who would take control of the Independent group. Survé and family have their snouts in the same feeding trough as the Gupta brothers, using media companies to court ANC officials with the main objective of accessing government advertising budgets. Although Iqbal Survé probably hasn’t been a recent guest at the Gupta family’s Saxonwold compound, he has made it his business to fawn over Jacob Zuma and family just as the Guptas have – and is periodically photographed at international events with the president. The role of Iqbal Survé in state capture – which is effectively a method to access government funds through influence and contracts – has been brought into sharp relief in emails leaked to journalists at amaBhungane and the Daily Maverick’s Scorpio. The bank of correspondence has been dubbed #GuptaLeaks. 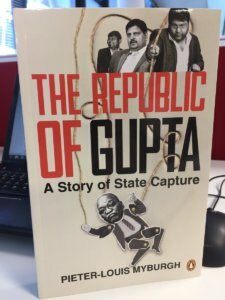 The #GuptaLeaks highlight that control of newspapers, television and radio stations is part of the state capture plan – not for political ends but to ensure easy access to government funds. “The key, as they saw it, was to win some of the lucrative government advertising their existing media assets have benefited from – through pro-government positioning,” says amaBhungane of failed Gupta attempts to secure stakes in the Mail & Guardian and Primedia. After efforts to take a stake in Primedia didn’t work, the Guptas progressed further with another plan, this time to buy into Independent Media, publishers of newspapers across South Africa. This is where the relationship with Survé came unstuck. 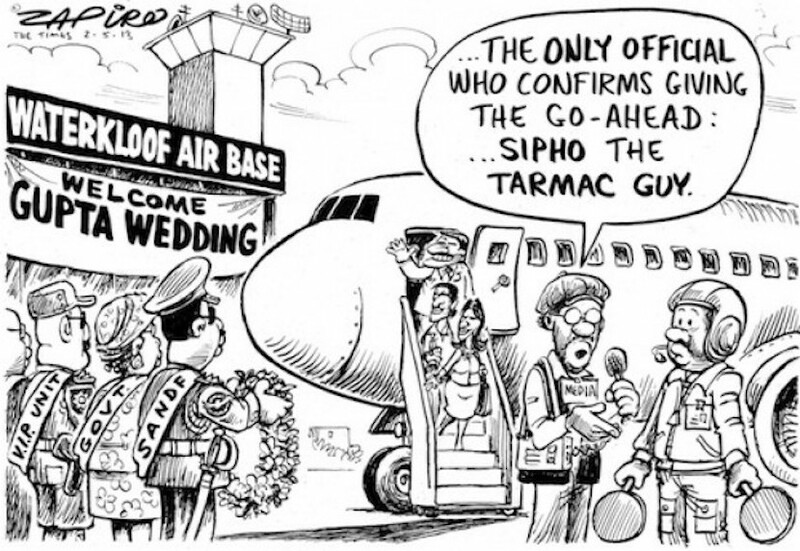 The first clear sign that President Zuma was in the pockets of the Gupta family materialised when The Sunday Times broke a story about a private wedding party securing permission to land at Waterkloof air base ahead of a four-day wedding extravaganza at Sun City in 2013. “Zuma was linked to the scandal when it emerged that as ‘No.1’ he had given permission for the family to be allowed to land hundreds of guests at the base to attend the lavish wedding of Vega Gupta and her husband Aakash Jahajgarhia at Sun City,” reflects the Sunday Times. As it turns out, among the guests staying in the 200-plus rooms booked for the wedding party was Iqbal Survé and some of his family members. “Back in happier times, the Guptas enjoyed a close friendship with Iqbal Survé, the chair of Independent Media’s owners Sekunjalo. Survé, his wife and two children were guests at the wedding of the Guptas’ niece in Sun City in 2013,” says the amaBhungane team of what they have discovered in the #GuptaLeaks. A very fussy guest Iqbal Survé was, too. He threw his – not inconsiderable – weight around, demanding an upgrade. “Emails show that Survé even had his PA request a better hotel room for him at the wedding, as ‘Dr Survé is a good friend of the Guptas’,” note the journalists. Nevertheless, the relationship between the Guptas and Survés was slowly souring. As amaBhungane has previously reported, Survé offered the Guptas a conditional stake in his consortium at the time that amounted to 27.5% of Independent Media – which would have been a bigger stake than Survé’s own. Howa is a former editor of the Independent group who moved on to become CEO of the Gupta-owned Oakbay Investments. But Survé reneged on his pact with the Guptas amid a dispute over what the shares were worth, and the two parties have been locked into legal processes since, say the #GuptaLeaks investigators. 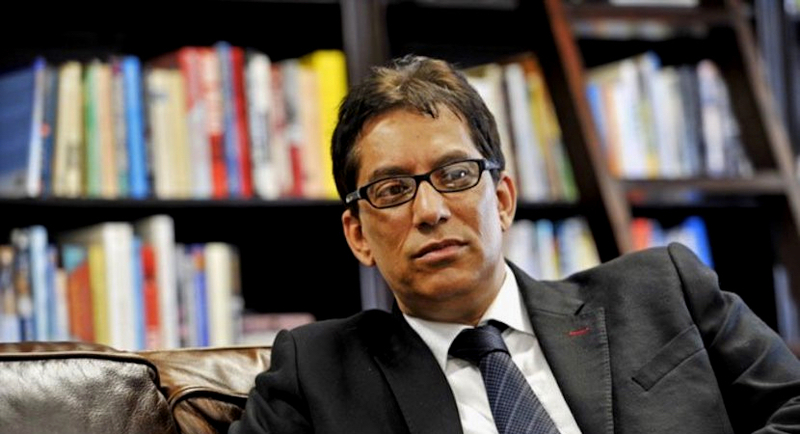 In the meantime, Iqbal Survé has been in the spotlight in connection with the abuse of taxpayers’ funds. 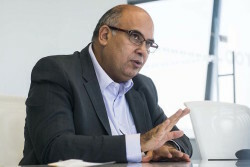 The Public Investment Corporation, South Africa’s public asset manager and manager of civil servants’ pension funds, contributed the money that enabled Iqbal Survé to invest in Independent newspapers. Under Survé, the Independent group has been in terminal decline, laying off dozens of journalists and attracting criticism for biased reporting that feeds into the interests of President Zuma’s clique. Last year, a question in Parliament from an opposition party unearthed some of the details of the PIC investment, with a document indicating it had provided more than R1bn in the form of debt financing to the entity. The PIC has defended its decision to finance Sekunjalo’s acquisition of Independent Media, saying the media group is the “largest English language newspaper publisher in South Africa that owns some of the most respected and trusted media titles in the country”. Iqbal Survé the ‘Struggle Doctor’. He says he is a physician, entrepreneur and an ardent philanthropist, born and educated in Cape Town, South Africa. Many have questioned the authenticity of the claim that he studied medicine and unfortunately no evidence has been forthcoming amid the questions about his alleged provision of medical care for “some of those imprisoned on the infamous Robben Island”. Iqbal Survé the freedom fighters’ ‘friend’. “Dr Survé had both a personal and/or a professional relationship with many former Island prisoners including Nelson Mandela, Ahmed Kathrada, Andrew Mlangeni and Govan Mbeki on their release from Robben Island,” says the Independent group. Iqbal Survé the businessman. After “leaving medicine”, in 1997, he founded The Sekunjalo Group, which is today wholly owned by the Survé family. Dr Survé serves as the Executive Chairman of The Sekunjalo Group, headquartered in Cape Town. Global mover-and-shaker. Survé serves on a number of multi-lateral institutions and global organizations and says he “is an alumnus of the University of Cape Town (UCT), the Graduate School of Business (GSB), the American College of Sports medicine (ACSM) and Harvard University, with degrees in medicine, science and business”.